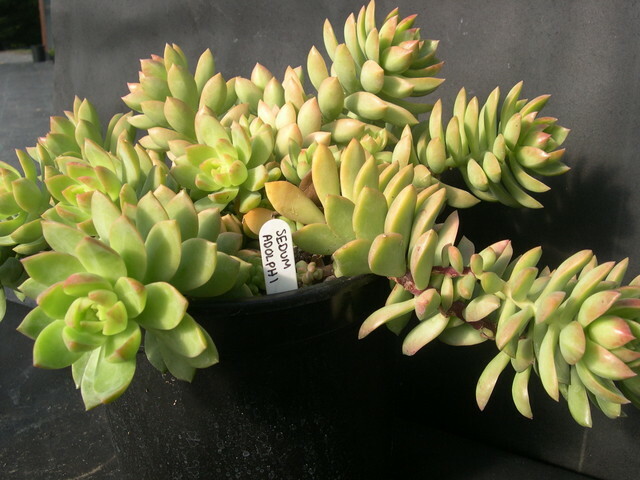 Smooth yellow-green leaves on arching, then trailing stems 12-16" long. Leaves can hang on almost the full length of the stems. Occasional clusters of white flowers. Good in hanging baskets. Protect from frost. Mexico. The white name tag in this photo is not correct.